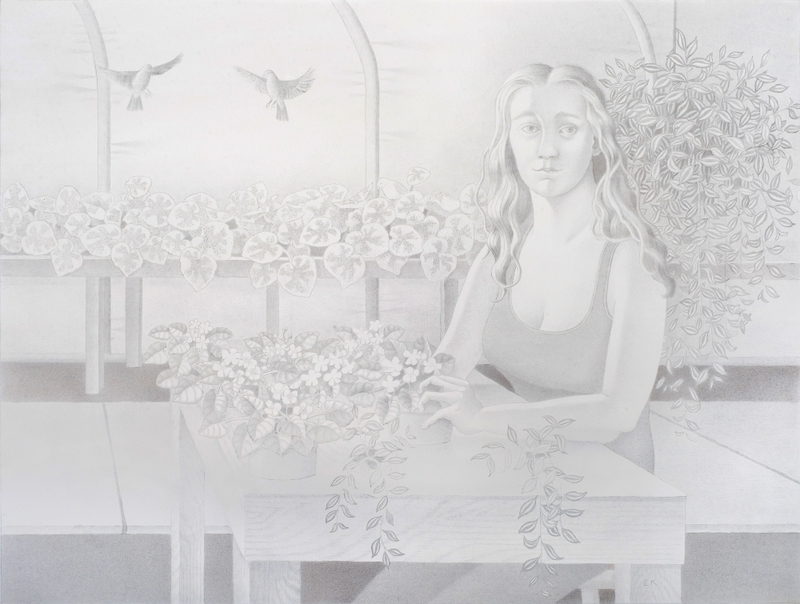 This drawing conjures memories of my favorite summer job working in a greenhouse. I spent summers, weekends, and holidays for nearly 6 years immersed in the hot, moist atmosphere needed for the exotic houseplants to thrive. I can still smell the soil mixtures and sense of growing things. I used photos I took on the job for the details of the plants and hired my favorite model to pose for the figure. I even included the sparrows that sometimes found their way into the greenhouse.